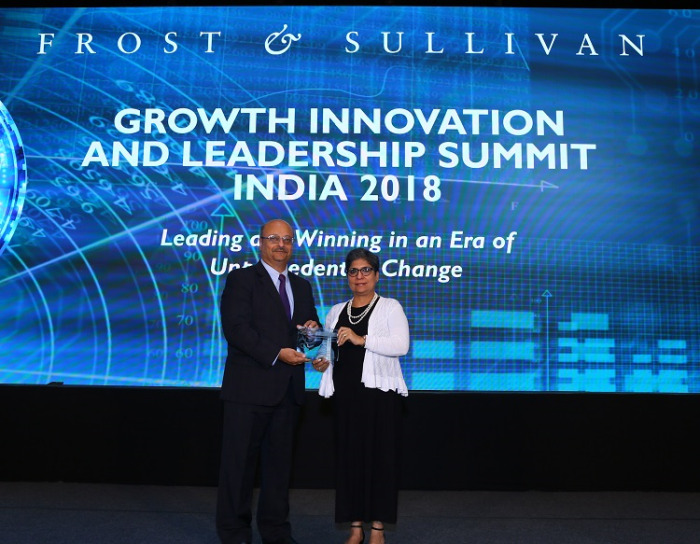 Frost & Sullivan’s Growth Innovation & Leadership (GIL) India 2018 Summit concluded its 10th edition on October 10th in Mumbai. The Summit shared insights on the Non-Linear business model paradigm and how organizations can leverage exponential or accelerated growth across industries. It was a conclave of industry experts and visionaries who came together to envisage the next wave of innovation emerging from various convergence scenarios. This year Frost & Sullivan felicitated Kiran Mazumdar-Shaw, Chairperson & Managing Director, Biocon Limited with the 2018 GIL Visionary Leadership Award for her relentless philanthropical pursuits, business accomplishments and outstanding contribution in the social sector. To know about GIL India 2019 or for partnership opportunities, please mail Neeta Joshi at neetaj@frost.com or visit: http://www.frost.com/GILIndia. You can also get updates on Twitter and LinkedIn from the hashtag: #GILIndia. India is the largest IT sourcing destination in the world; the datacenter market in India has doubled in the last 3 years and is projected to grow 1.5 times by 2020. The Summit kicked off with visionary insights on ‘Technology Opportunity Engines - Drive Exponential Growth in your Organization’ elaborating on technology interplay, customer experience and how industries need to identify growth in areas of convergence. The Summit witnessed some power-packed keynote sessions and panel discussions on several industry specific topics like Mobility, Healthcare, Start-up ecosystem and more. The sessions further discussed key market trends, new business models, and best practices for success, that are repositioning the industry for the digital era. Interactive panel discussions with senior thought leaders and industry specialists highlighted convergence across industries like uberization in healthcare, government initiatives on localization of data, technology interplay, data growth, success stories across start ups and more. The session on ‘Emergence of New Mobility Business Models driven by Digital Transformation’ led by Kaushik Madhavan, Vice President, Mobility (Automotive & Transportation) Practice, Frost & Sullivan, deliberated the transition from conventional fuel powered cars to electric vehicles, further to ridesharing, shared mobility, multimodality of mobility, platformization of transport, transcendental mobility and more. It emphasized how mobility providers need to take a collaborative, rather than disruptive approach to serve better in future. It further discussed new revenue streams and how mobility services are expected to grow into a trillion dollar market by 2025. The Think Tank conducted by Frost & Sullivan’s Anand S., Vice President, shared insights on the hottest 50 technologies that are beacons to guide the strategic moves of innovation-focused organizations and professionals in the next couple of years. The workshop discussed how the possible convergence of several of these technologies opens up unprecedented opportunities for new revenue models and the next generation of innovative products and solutions. Guruprasad Mudlapur, Managing Director, Bosch Automotive Electronics India Pvt. Ltd. The evening concluded with Frost & Sullivan’s 2018 India Best Practices Awards Banquet, which recognized companies for their accomplishments in areas of innovation and convergent thinking that will catalyze and transform industries in the near future. This year 45 awards were presented to a range of deserving establishments and companies across various industries such as Tech Vision, Visionary Science, Transformational Health, Measurement and Instrumentation, Industrial Automation & Process Control and Mobility. To access the complete list of Frost & Sullivan’s 2018 India Best Practices award recipients, please click here. 2014 Barack Obama's tour of AsiaBarack Obama leaves for a trip of Asia. He will visit Japan, South Korea, Malaysia and Philippines.